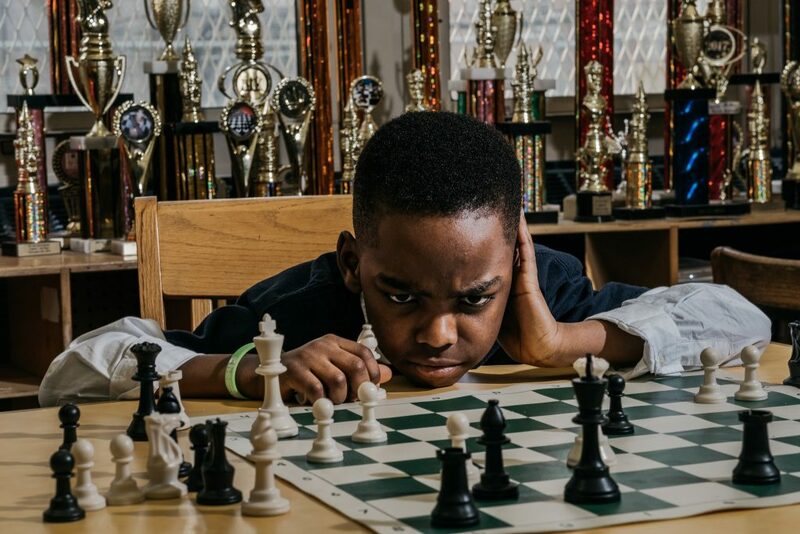 This Nigerian boy is doing wonders in the world of chess in America. Tanitoluwa Adewumi, an 8-year-old Nigerian whose family reportedly fled Nigeria because of the Boko Haram crisis, is fast becoming a star in the US. Here in Nigeria, we fight people not from out tribe, but abroad Nigerians are excelling. 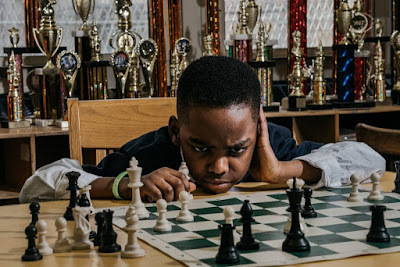 In this piece, Nicholas Kristof, a New York Times’ columnist, dwelt extensively on the exceptional skills that Tanitoluwa possesses in the game of chess which he started learning over a year ago. 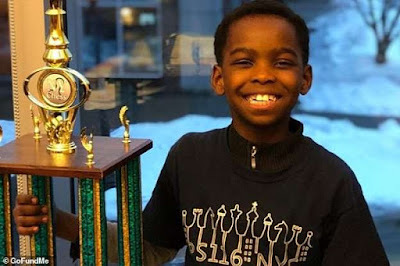 The prodigy, who just won his category at the New York State chess championship, now has seven trophies. But sadly his family is homeless in Manhattan, New York. “His play has skyrocketed month by month, and he now has seven trophies by his bed in the homeless shelter,”Kristof wrote. The boy, his parents and his older brother arrived in New York City a bit more than a year ago, and a pastor helped steer them to a homeless shelter. The mother reportedly sent an email to the chess club, explaining the boy’s interest in the programme and her inability to pay the fees for the programme because the family was living in a shelter. The person who oversees the P.S. 116 chess programme waived the fees, and a year ago the boy took part in his first tournament with the lowest rating of any participant, 105. “It’s an inspiring example of how life’s challenges do not define a person,” said Jane Hsu, the principal of P.S. 116, which held a pep rally to celebrate the boy’s victory. Now the father has two jobs: he rents a car that he uses to drive for Uber, and he has also become a licensed real estate salesman. The boy’s mother has passed a course to become a home health aide.